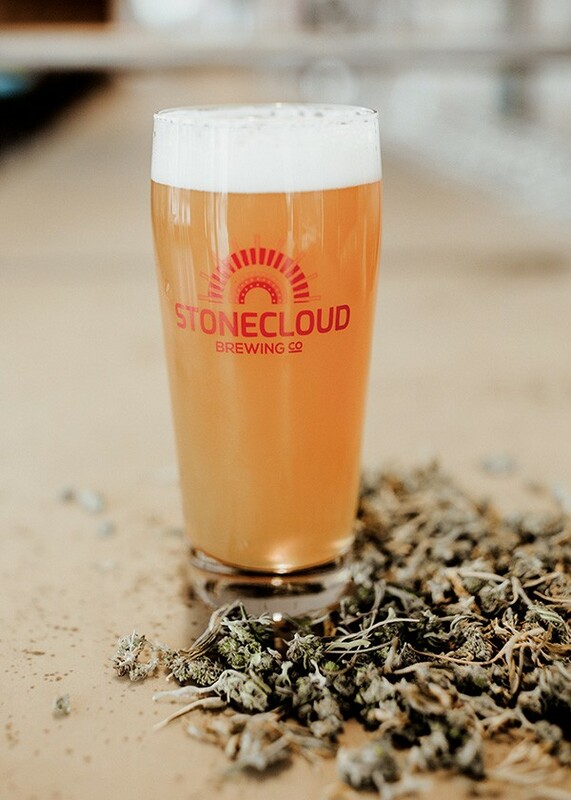 Stonecloud Brewing Co. debuts its new CBD-rich beer, Hemptation. Stonecloud Brewing Co. collaborated with Redbud Soil Company to create Hemptation. Oklahoma City is about to gets its first taste of hemp-infused beer thanks to two downtown business neighbors joining minds. India Pale Ale Hemptation is a collaborative venture between Stonecloud Brewing Co. and Redbud Soil Company, 1113 NW First St. The beer will be brewed like a normal IPA and then infused with the flower. Hemp is a member of the cannabis sativa family and is used to produce cannabidiol (CBD) without concentrated amounts of the psychoactive compound tetrahydrocannabinol (THC) that would be found in medical marijuana. “Infusing it will be similar to making cold-brew coffee a little bit,” Irby said. “Basically, you just soak the pretty-much-finished beer on the hemp itself. That’s really the easiest and best way to get that that sort of flavor and aroma. You’re not worrying about boiling off any of the cool aromas or anything like that. The IPA will be the first of an ongoing hemp-infused beers series available in the brewery’s taproom. The ale will be made with 2,000 pounds of malted barley crushed and mixed with hot water to create mash. 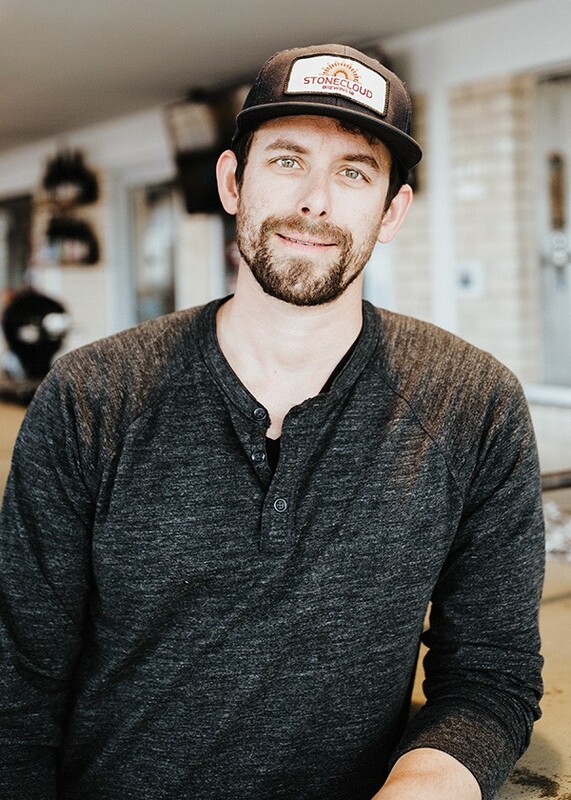 “It’s kind of like a giant, 900-gallon [tank] of oatmeal, if you want to think about it that way,” Irby said. “Wort is the basis of beer, but it’s unfermented, so it doesn’t have any alcohol in it,” Irby said. It’s boiled briefly, and hops are added and then chilled at 65 degrees in a fermenter. After three weeks, the batch will be ready to be soak in a pound of hemp of the Magic Bullet strain. After five days, Irby said, the beer will then be carbonated and ready to serve. The first batch is expected to be one barrel — roughly 30 gallons or 250 pints of beer. Pints of the 6.5 percent alcohol by volume brew will be available in the taproom Friday. It will be priced at $7 a pint. Joel Irby of Stonecloud Brewing Co. is rolling out its first in a series of hemp-infused beers. “It’s a little bit more of a pain to make, which is why we will charge a little bit more for it than our standard IPA, but we’re not trying to gouge anybody,” he said. “I hope it lasts about a week or so. But you know, I mean, you never know. Sometimes we have beers that I think are going to sell out in a day and it takes three weeks. Sometimes something sells out in an hour that I think we’re going to have around for a couple weeks, so I hope at least a weekend. A week would be awesome, just so more people have the chance to try it. It’ll be gone pretty fast, and then we’ll tinker again and make another round. Beer Advocate lists only 46 hemp beers in North America, six of which have been retired. RateBeer.com has 50 listed worldwide and another half-dozen of which are no longer available. The Hemperor, an “HPA” or Hemp Pale Ale from Fat Tire Brewing in Fort Collins, Colorado, is also available in Oklahoma. “You do see other breweries across the country that have done, you know, a few things like this, but it’s definitely not widespread, and obviously, it’s never been done in Oklahoma,” Brady said.